In a victory for people power and against Republican dirty tricks, all six of the Wisconsin Democrats running to recall GOP State Senators won their respective primary last night – against “fake” Democrats who Republicans had recruited to sabotage the process, waste taxpayer money and delay the inevitable. In all but one race, the real Democrat got over 65% of the vote. Wisconsin has an open primary, and Republicans had actively urged their base to vote for the “fake” Democrats – so last night’s results are encouraging, as the real Democrats now face the six GOP incumbents on August 9th. The progressive effort to re-take control of the Wisconsin State Senate is one of the most underrated political stories of the year, and its outcome will have national consequences. Progressives must mobilize to defeat Scott Walker’s war against working families by helping these recall campaigns. You can donate money, volunteer for these candidates or even phone-bank from your own home. 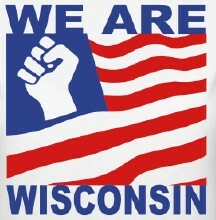 With the Democrats in Washington oblivious to the concerns of everyday working families, a populist earthquake in Wisconsin is what the country needs to get back on track. Wisconsin has only ever recalled two legislators, but this year nine State Senators (six Republicans and three Democrats) are subject to a recall election. And with Republicans controlling the State Senate by a 19-14 majority, Democrats must win six of these nine elections to take control of the upper chamber. Or if they successfully defend all three Democrats, they only need to knock off three of the six Republican incumbents. That could have happened last night, but Republicans put up road-blocks to delay the inevitable – as they ram through a hyper-partisan redistricting map and a restrictive “voter-ID” law while they still control both houses of the state legislature. By recruiting six “fake” Democrats to run against the legitimate Democrats, they successfully managed to put off the actual vote to remove them from office three weeks – until August 9th. And after reading about the clowns they recruited to buy themselves an extra three weeks, I sometimes had to wonder if I was reading The Onion. “I ran to push back the general election. Period,” said Isaac Weix – a former Republican candidate who ran as a fake Democrat in the 10th District. In the 18th District, fake Democrat John Buckstaff said: “I have decided to run as a protest candidate against Jessica King in the Democratic primary. I make no apologies for this action as I view the recall of Senator Hopper as wrong.” Both of these fake Democrats, along with the other four, lost resoundingly last night. But the insanity of the “fake Democrats” can only be matched by the Republicans who are now up for recall on August 9th. State Senator Dan Kapanke in the 32nd District is arguably the most likely to lose his seat. As he told a group of supporters at a recent event, “we’ve got tons of government workers in my district. Tons … We’ve got to hope that they, kind of, are sleeping on July 12th, or whenever the date is.” Come August 9th, these Republican State Senators are counting on a low turnout and a disengaged electorate to save their hides.